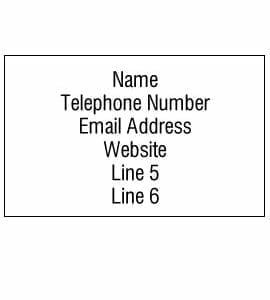 Our info stickers can be used to add your personal details to our blank blitz cards and also any other products that requires your details. Printed on thermal paper to avoid smudges etc and supplied in a rolled strip. PLEASE: DOUBLE CHECK all links, spelling, caps, as we will print as you send. No excuses. Max 6 lines with max 30 characters per line – no special characters or logos. 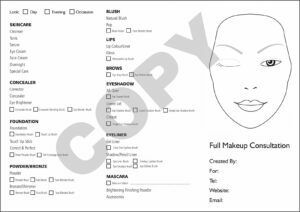 Very detailed form covering every aspect of your consultation including brushes and accessories. Now you are motivated and ready to move on to a schedule that will enable you to improve and grow your network on a daily basis. 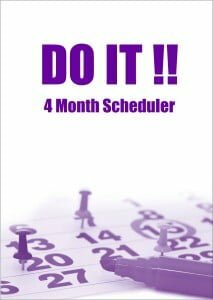 There are 120+ day schedules, giving you enough for 4 months !! Printed on quality paper and wirebound with a card cover. You WILL need a pen, you get a FREE pen included !! Thankyou Labels – 25mm (1 inch) Diameter Circular printed in full colour. Supplied on A4 sheets of 70 labels per sheet. 3 designs will be split on each sheet. 5 A4 sheets per pack. 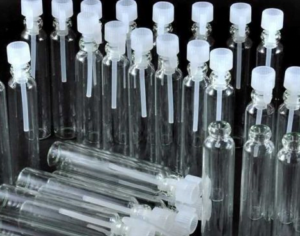 Glass 5ml tester bottle for your fragrances! Comes with white plastic sealer cap with integral strip. Packs of 5 with loose plain labels. 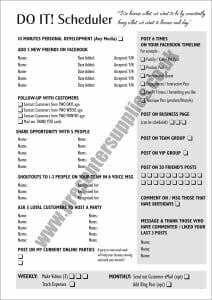 A6 Size Double Sided Blitz Cards selling the business and its benefits. Printed full colour both sides (both sides personalised incl photo) on 250gsm silk (slightly thinner than business card). 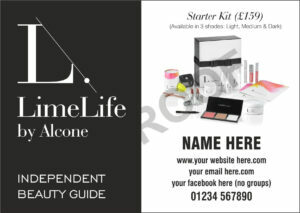 Just supply your details that you want in the box and we will do the layout for you! PLEASE NOTE: DOUBLE CHECK YOUR SPELLING ETC.! Ideal for inserting into catalogues at parties or just for those that do not want the luxury of a book! Exactly the same NCR (No carbon required) 2 part set that is in our popular order book. Top (white) sheet is order form, bottom (pink) sheet is the receipt. Left hand margin in case you want to hole punch and file in a ring binder. Your business cannot rely solely on social media. When you meet a prospective customer or recruit, they NEED your business details! 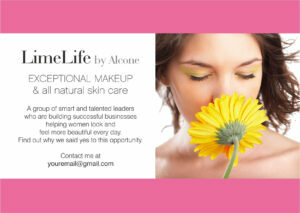 Our business cards are printed full colour both sides with YOUR business details on a 350gsm silk board. They are sized 85mm x 55mm which is, conveniently, the same size as a credit card. 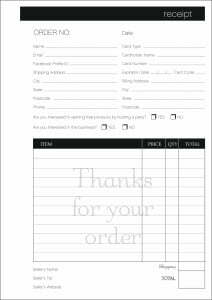 Just order and supply your full details (double check spelling etc. at checkout) and leave the rest to us! 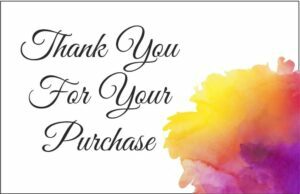 When our Thank You stickers are not enough, use these business card size Thank You cards. Printed in colour on one side of a silk board. Blank on the reverse for an address label or our info label if you have one. Nothing beats a loyal customer (we should know)! Keep them coming back and reward them using our loyalty cards. 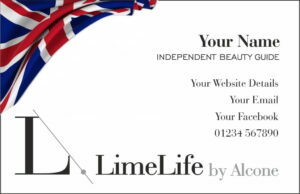 Our loyalty cards are printed full colour, double sided on a 350gsm silk board. 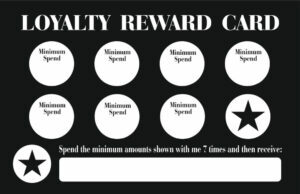 Our loyalty cards are not ‘pre-assigned’, so you can fill in what your spend levels need to be for rewards. The reverse contains customer and distributor details. 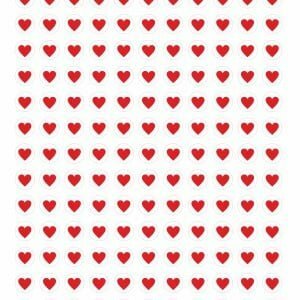 They come with matching ‘heart’ stickers to add to the card on each successful purchase. We admit, you can get blitz cards practically anywhere, and at reasonable prices. Printed full colour both sides (reverse personalised) on 250gsm silk (slightly thinner than business card). 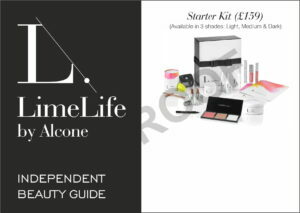 Shows kit options on front and business details on the reverse. Just supply your details that you want in the box and we will do the rest. PLEASE NOTE: WHAT YOU GIVE IS WHAT WE PRINT. DOUBLE CHECK YOUR SPELLING ETC.! 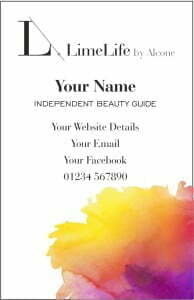 When you need to advertise your business or opportunity our Double sided Blitz cards that advertise products on one side and the business offer on the other. New design – updated with the LATEST kit choices. Printed on 250gsm board, full colour both sides. © Copyright PresenterSupplies.co.uk - WebmarketingUK 2015. All Rights Reserved.